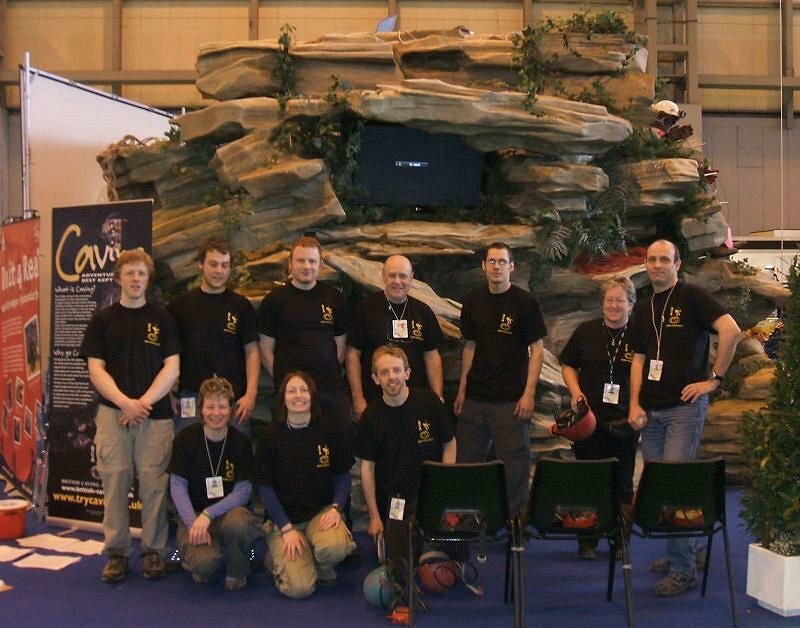 Four club members and one squeeze box attended the Outdoor Show at the NEC to help on the BCA stand, manning the artificial cave. The cave was a great attraction along with the squeeze box. 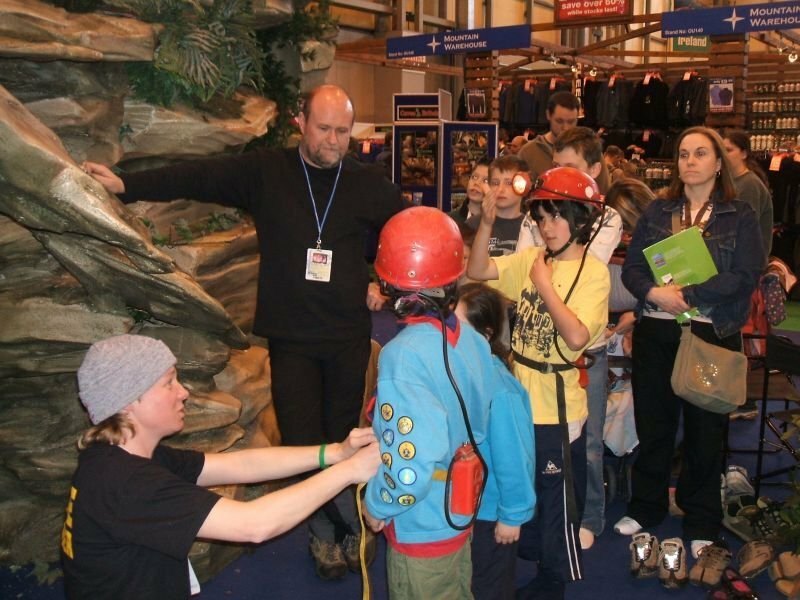 Saturday saw hundreds of people try caving - indoors! 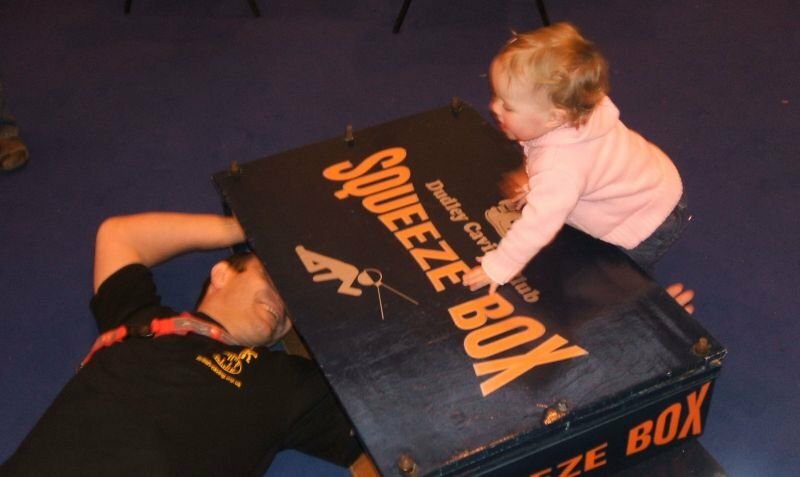 The squeeze box was a great advert for the Club thanks to Dea's artwork.